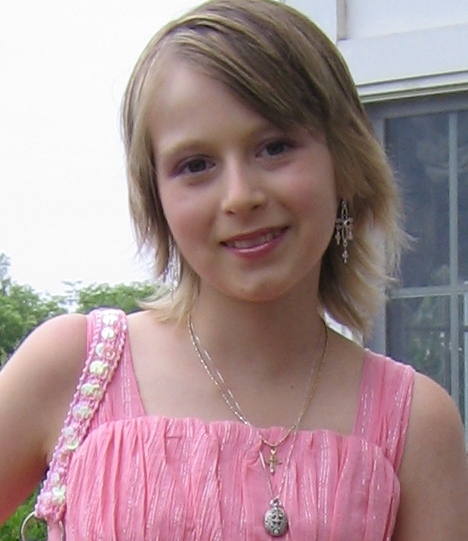 Would you like to help us in our mission to help kids in the hospital? We have a couple of ways to help. 1. Donate a couple of hours of your time to put together kits for kids in the hospital. 2. Donate your time by helping staff a booth for a couple of hours at a local event. Our next event is Friday, December 15 – Monday December 18th at the Washingtonian RIO! 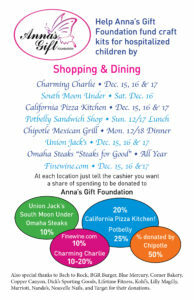 Please come join us and help Anna’s Gift while you shop and dine! Remember to let the staff know you are at their shop because of Anna’s Gift!